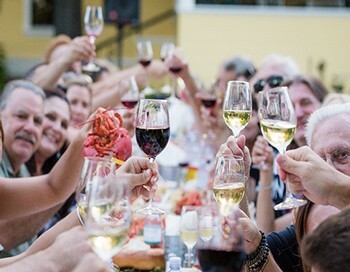 Celebrate summer by joining Frank Family Vineyards for our annual Chardonnay and Lobster Dinner! Enjoy delicious food and wine at our historic winery while listening to live music. Begin the evening with our Brut Rosé and fresh Hog Island Oysters, then roll up your sleeves as we crack open some fresh Maine Lobster during a family style meal including shrimp, corn on the cob, artichokes, and more, all paired perfectly with our Lewis Vineyard Reserve Chardonnay.